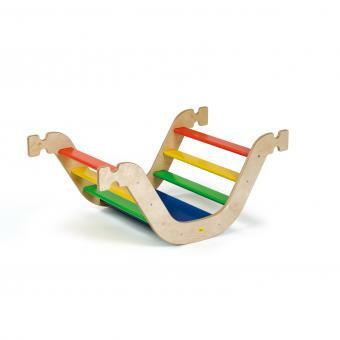 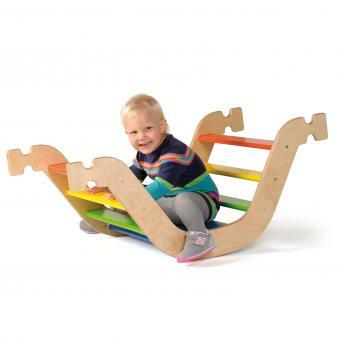 This miniature climbing rocker developed by Erzi imparts loads of fun to children’s sports activities wherever it is used. 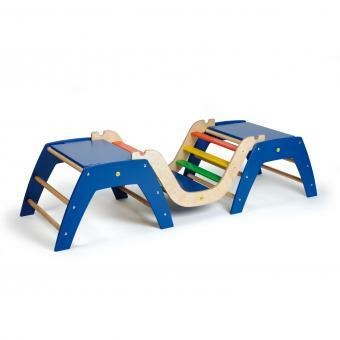 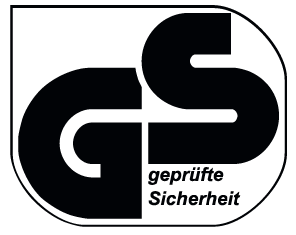 It serves as a seesaw, a bridge or a crawl tunnel and can also be put to a variety of different uses in conjunction with Erzi trapeze trestles or sportboxes (observe fall height/means of fall protection!). 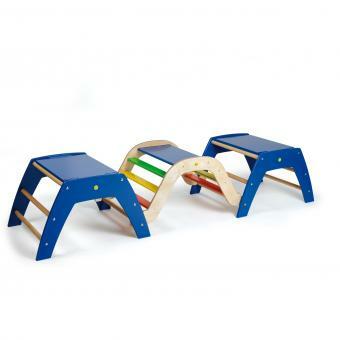 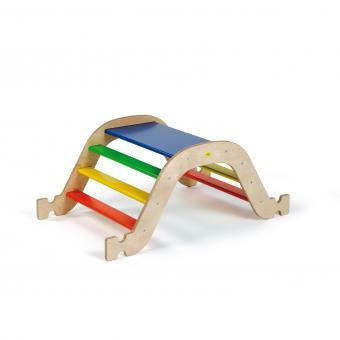 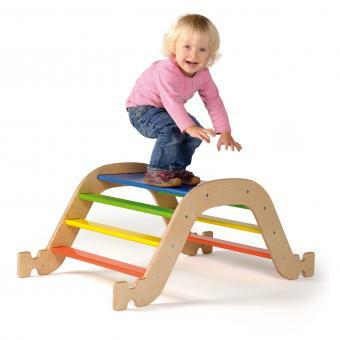 Wide steps provide the little “climbing artists” with a firmer hold than would be the case with rungs, enabling them to train effectively for the next group one degree higher.